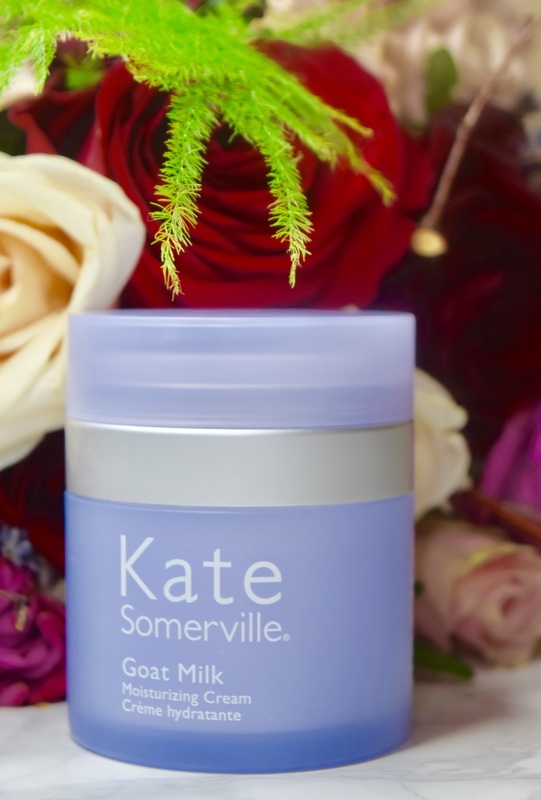 Kate Somerville is one of this brands which gets people seriously excited. I can’t even tell you how many people have recommended it to me, and it’s been on my hit list for a while. So, when it launched at SpaceNK a few weeks back, it felt like the perfect time to give the brand a shot. 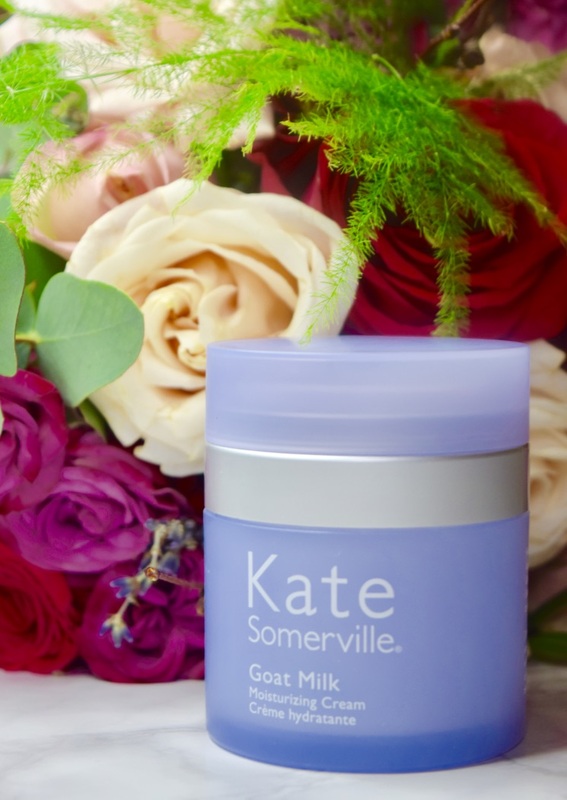 There are a few ‘lines’ within the Kate Somerville range, one of the most talked about are the Goat Milk products. You can pick from cleansers, creams and balms, so it’s perfect if you’re looking for a way to hydrate and nourish dried out skin. 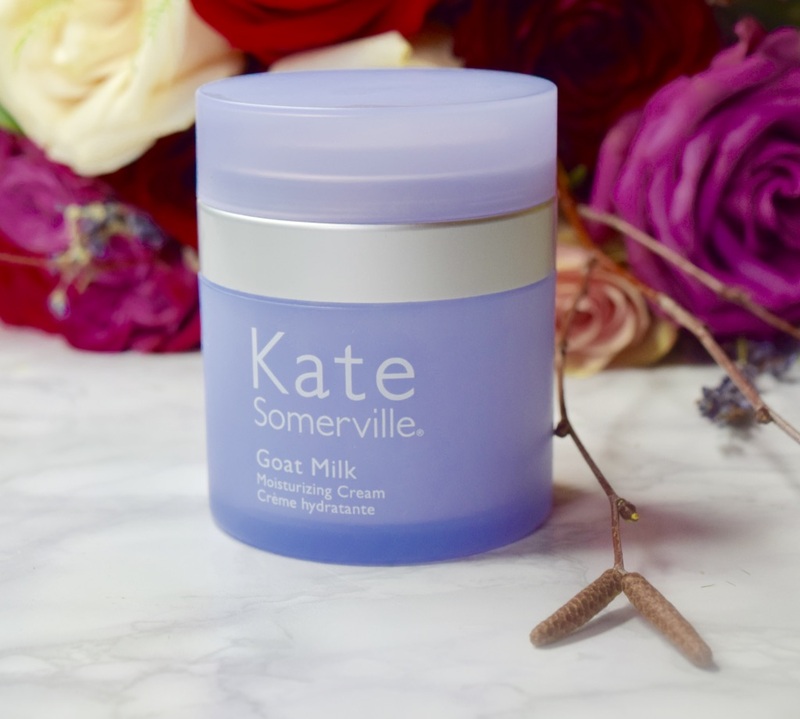 Packaged in a gorgeous purple pot, the Goat Milk Moisturising Cream is a product which can be used both morning and night, and it’s perfect for intensely hydrating skin. For skin which is dry like mine, which has been made worse by living in central heating, it’s a real lifesaver! 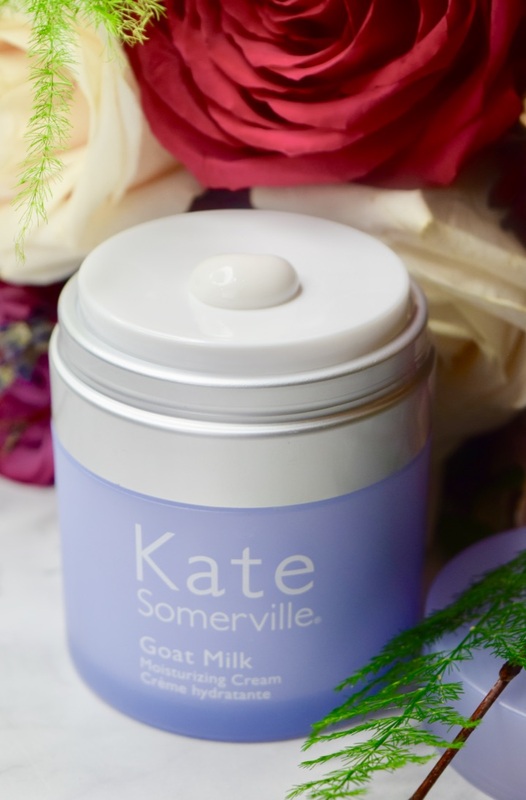 Apparently Goat Milk has long been known as an effective moisturiser, so it makes sense to be included! The first (among many) of the features of the cream, which I absolutely love is the push dispenser. Rather than digging around a pot with my fingers, a simple push delivers an application’s worth of product, which I smooth on each morning. The cream is surprisingly lightweight, and my skin absolutely drinks it up. Thanks to the aloe vera, jojoba and avocado oils, the cream feels incredibly nourishing. 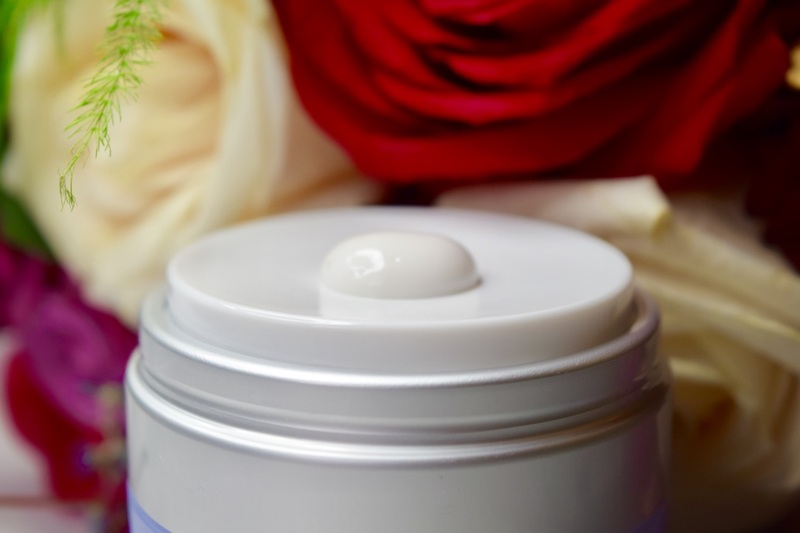 It doesn’t leave skin feeling tacky or sticky, instead, skin just feels nourished – a sensation which lasts all day long. It’s a perfect base for both makeup and non-makeup days, as it feels so calming and soothing. It cuts down on skin’s redness too – meaning I can get away with wearing the lightest of base products, rather than have to load up on foundations and concealers.